The Network: Part 3: The conscious consumer becomes the aware and ethical shopper. Destroy the slavers from the checkouts of Australia! Part 3: The conscious consumer becomes the aware and ethical shopper. Destroy the slavers from the checkouts of Australia! AFTER LAST NIGHT'S SLAVING AWAY ON FOUR CORNERS. PLEASE SIGN IT. GET IT AROUND. YOU WILL FIND IT HERE. Hopefully, this post, Part 3 on the Four Corners program, Slaving Away, is the last ... but who knows? 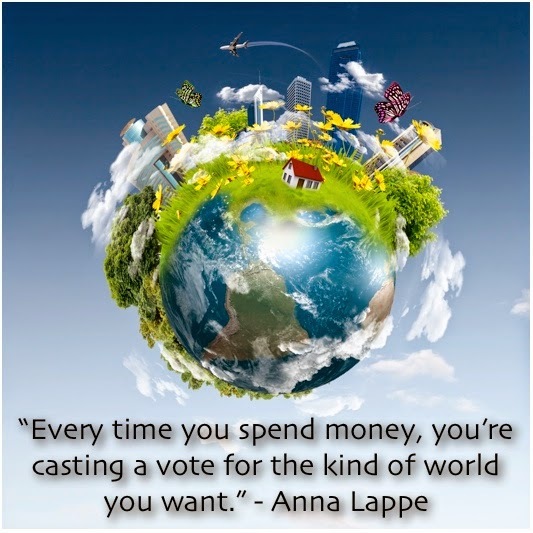 One thing Slaving Away makes clear is there is room for the conscientious, ethical shopper. If you are someone who has breezed through your shopping only focusing on personal needs or needs of your household; if you are someone who has never considered the term 'ethics' in relation to visits to Coles, Aldi, Woolworths, then now is the time to step up. First of all, let me introduce you to Shop Ethical! Shop Ethical! still continues as it started - a booklet you can keep with your wallet for your shopping trips. Then it became a website. And now, for your smart phone, there is an app. Shop Ethical can tell you about sustainable fishing, fair trade, human and animal rights abuses... and more. However, it is best if you can keep up for yourself because quite often the naughties make the headlines. Take Baiada, the poultry people. Their brands are well-known: Lilydale (a major supplier to Coles and even the cooked chooks at Coles are Lilydale) and Steggles. However, it is not only chooks that Baiada kill. They kill people too. And racism has been an issue within its migrant workforce. Hardly the employer of your choice - that's if you really had a choice, which many migrant workers do not have. I steer clear of Baiada products since all that came to my notice. I am predominantly vegetarian but another household member is a carnivore - so chook is bought once a week for that person. However, since the slavery accusations, I have declared to the household that chicken is DEFINITELY off the menu until I can find a really ethical source. I don't rank my chances highly! Akers Farms (turn to Part 2) apparently provides most of the sweet potatoes up and down the east coast. I'm going to go back to local farmers markets and see what I can find in the way of an ethical source. As you, the ethical consumer will realise, fruit and veg in the major suppliers comes either on a plastic wrapped tray or loose. I've never paid much attention - but I did happen to note that I bought some packaged celery and zucchini from Aldi and one gave information about the supplier. I think we, as ethical shoppers, have to be able to check the source of a product if we wish. So I am going to be writing to the Big 3 asking for the source of the product to be supplied on the loose fruit and veg. It is noteworthy that Slaving Away did not deal with Metcash, the suppliers of IGAs. Not enough hours in the day? Brands the same and if dealt with once in the Big 3, no need to go there again? Pricing - fair, too high, too low. Watch out for too low. How? Why? What shortcuts? If you think of a few other necessary things to add to the above list, please let me know.